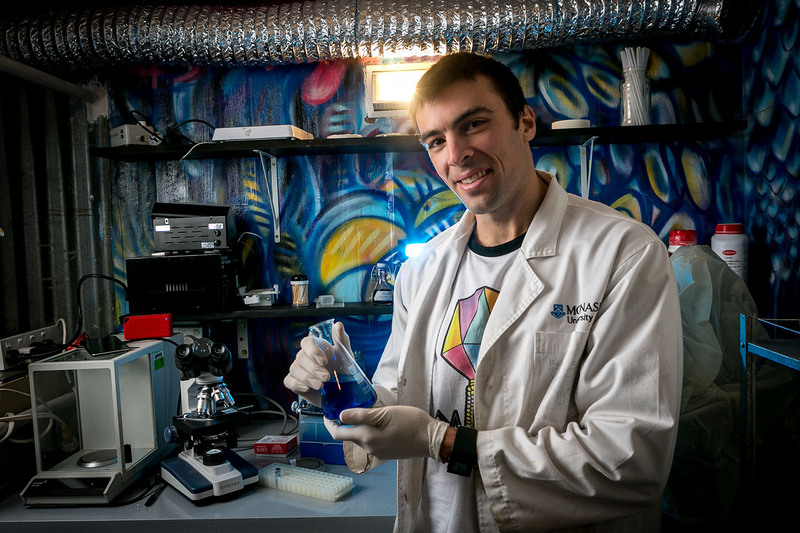 Monash University science undergraduate student Andrew Gray with some samples of bacteria at his laboratory in Brunswick. 28 July 2016. The Age NEWS. Photo: Eddie Jim.